The Windows 7 “Win7GodMode” is a term dubbed by the Microsoft team as a single point of access to make any alterations on your computer. 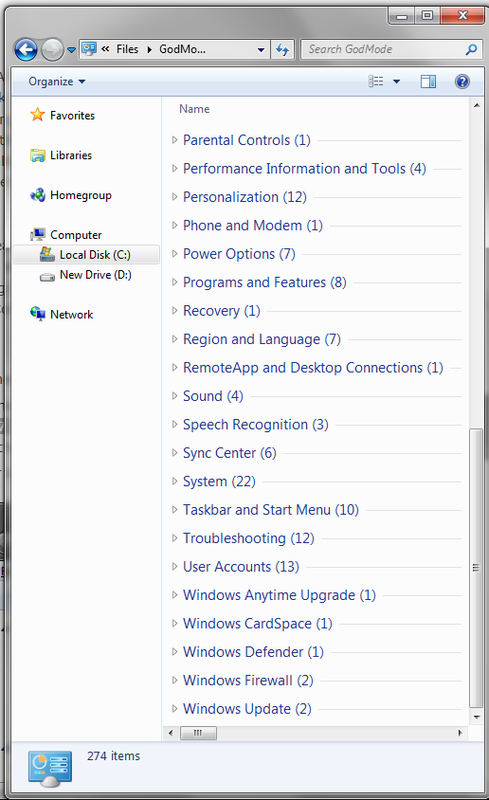 This ranges from the Action Center to Windows update. The complete list allows you to easily make 274 changes across 45 different categories. 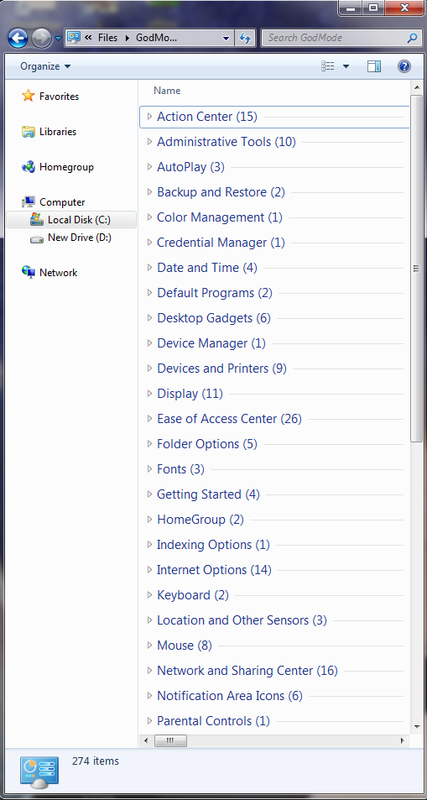 These categories include: Action Center, Administrative Tools, AutoPlay, Backup and Restore, Color Management, Credential Manager, Date and Time, Default Programs, Desktop Gadgets, Device Manager, Devices and Printers, Display, Ease of Access Center, Folder Options, Fonts, Getting Started, HomeGroup, Indexing Options, Internet Options, Keyboard, Location and Other Sensors, Mouse, Network and Sharing Center, Notification Area Icons, Parental Controls, Performance Information and Tools, Personalization, Phone and Modem, Power Options, Programs and Features, Recovery, Region and Language, RemoteApp and Desktop Connections, Sound, Speech Recognition, Sync Center, System, Taskbar and Start Menu, Troubleshooting, User Accounts, Windows Anytime Upgrade, Windows CardSpace, Windows Defender, Windows Firewall, and Windows Update. The list does have the potential to change, depending on how your computer is setup and the different type of programs installed on your computer. 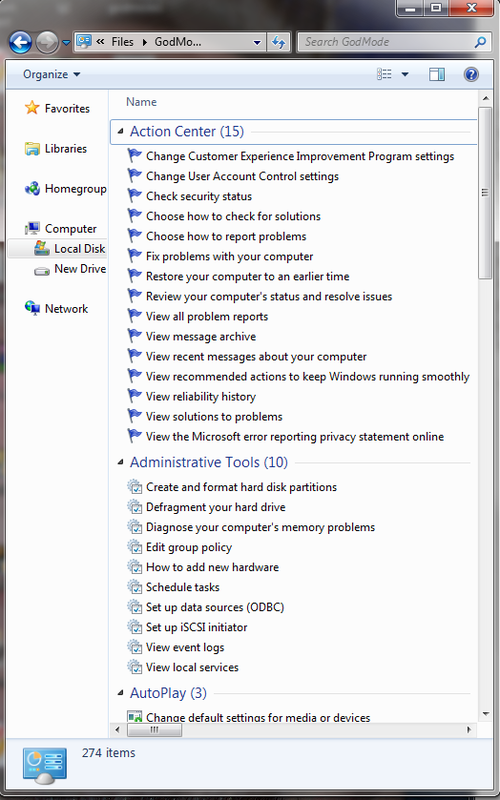 The benefits of having all of these options is a time-saver, if you don’t know where to make a change, or don’t feel like taking the time to get to it, then the Windows 7 Win7GodMode makes your job so much easier. The list also allows you to show any possible changes to the computer that you might not have known in the past. I’ll be honest, I didn’t even know some of those options even existed on the operating system and I’ve been using the Windows operating systems for years. Installing Win7GodMode is rather simple, but we’ve provided some screenshots to help you along to get full access to hidden Windows7 settings. 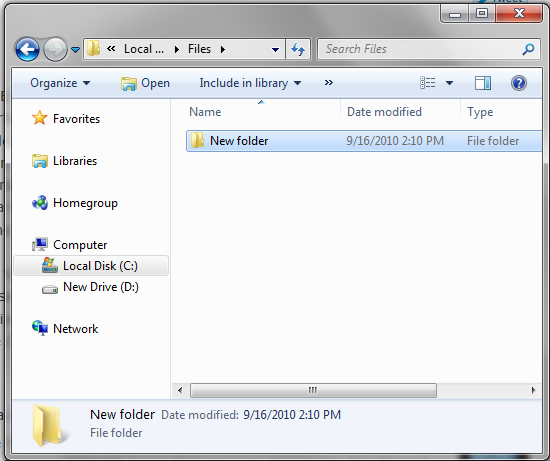 Create a folder in an easy-access location: Desktop, C:/, or something else. 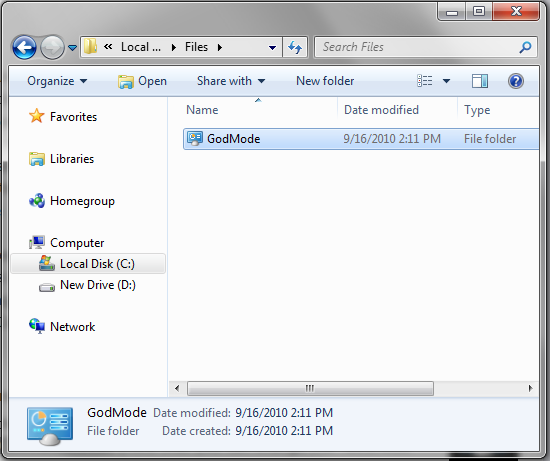 Once you hit enter, the name will shorten to Win7GodMode and have an icon that similar to a dashboard. Go through all of the settings! 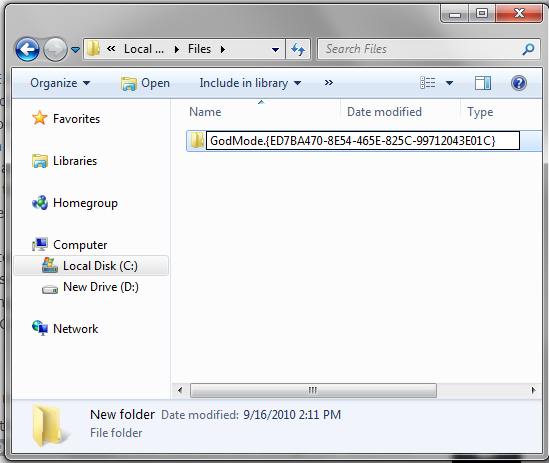 Win7GodMode appears to work in both Windows 7 32/64 bit as well as Windows Vista and Windows Server 2008 in 32 bit. 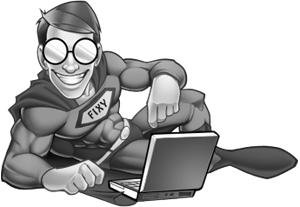 It has been known to crash in Windows Vista 64-bit, but many have been able to get it to work by creating the folder in SafeMode.